You cannot go to your local farmers market these days without tripping over a squash or three. There are many varieties from which to choose but delicata squash, with it's rich sweet potato like flavor and creamy texture, was an easy choice. Delicata squash is easy to cook, the skin is edible so no peeling is necessary and a little olive oil is all you really need. I added some thyme and young ginger from my kitchen garden. Cut squash into 1/2 inch thick slices. Remove seeds. 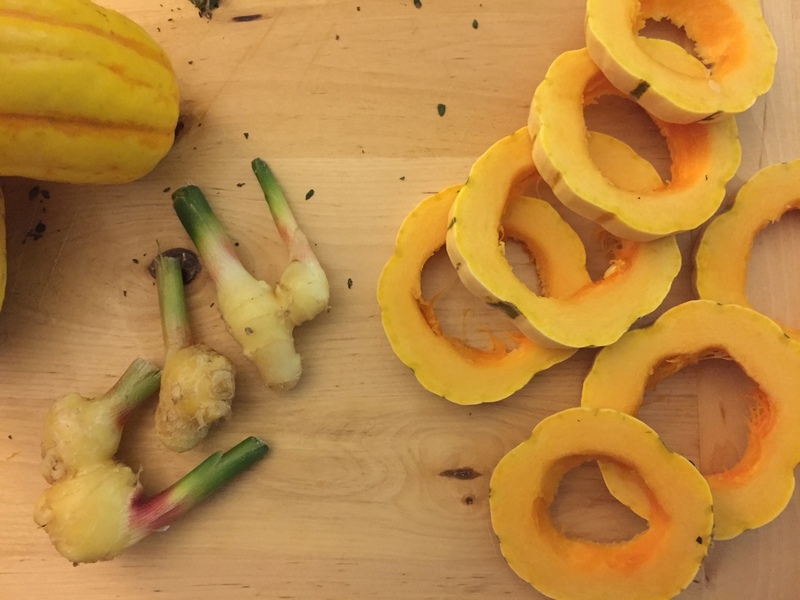 Place squash rings into shallow baking dish. Brush both sides with olive oil and sprinkle with chopped thyme, grated ginger and salt and pepper. Roast in oven for 25 minutes or until tender and slightly caramelized. Drizzle a small amount of olive oil on toast. 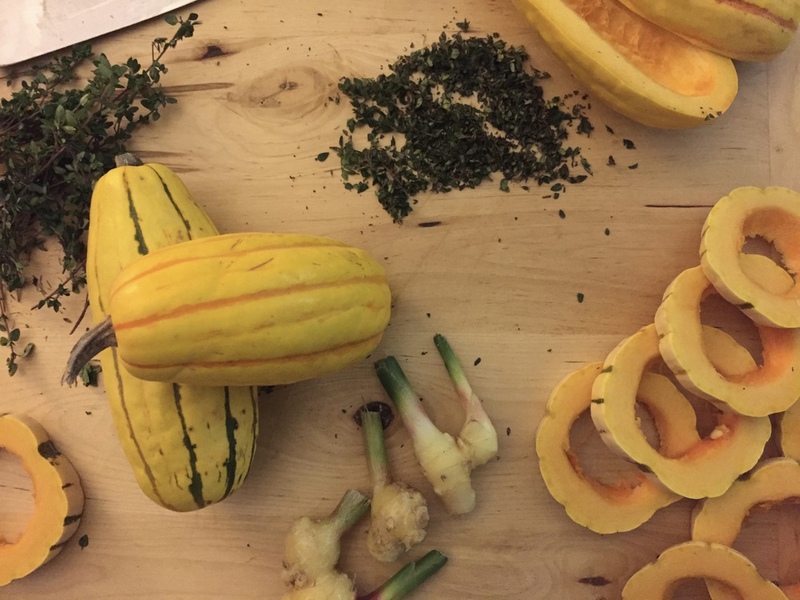 Place 1 or 2 squash rings on each piece and add a pinch of sea salt and thyme.